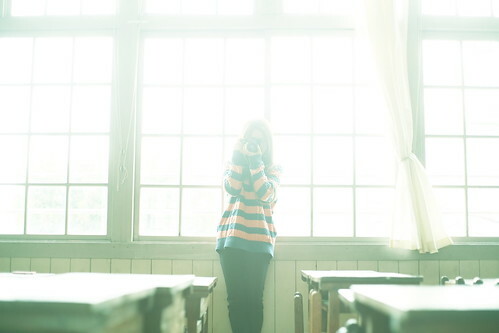 untitled, a photo by Chikashi Ito on Flickr. In my last post I posted a picture of a very pretty dress and said I would love to wear outfits like that more often. Today's photograph is just as beautiful - look at that lovely dreamy light - but shows an example of how I actually look much of the time. Jeans and stripes and probably taking a photograph of something. Happy weekend everyone. Here's hoping it stays full of spring sunshine.